"He moralized, pushed and prodded. He pulled at the heartstrings. He offered food for thought. And he spoke what is never spoken. Obama criticized rulers who shamelessly alter the law and remain in power endlessly. He called on them to give new blood a chance. "No one should be president for life," said the man who retires in a year and a half - even though, he said in a bold aside, that he could have been elected again. … The second point of lasting significance concerns the position of gay people. Obama put the issue on the agenda from a position of great moral strength." 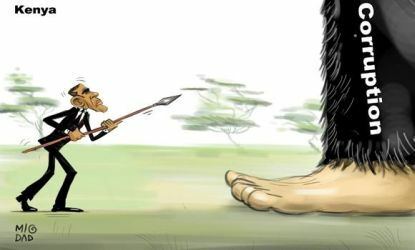 It was certain at the outset that Obama's visit to Africa would be a triumph. A man with African roots that comes as leader of the most powerful country in the world: it doesn't get any better than that. Throughout his visit, with all of its personal elements - but especially through his role as president - Obama confirmed that Africa really counts. It was a gripping image: for just a moment, Obama was president of Africa – and he made optimal use of that influence. Obama had an agenda of course. He suggested that the United States as a partner of Africa has a lot to offer. A relationship with America is not only based on raw materials, but also the pursuit of economic growth, democracy, health, education and electrification. The United States is not a neo-colonial exploiter - that’s what it boils down to. He didn’t have to mention China to make his point. But Obama did more. Liberated from political pressure and building on his recent successes, Obama again showed himself to be an inspirational leader. After the impressive sermon he delivered for his fellow countrymen in Charleston, South Carolina a few weeks ago, Obama now preached for the Africans. He moralized, pushed and prodded. He pulled at the heartstrings. He offered food for thought. And he spoke what is never spoken. Apart from the broadly positive impression left by Obama's recognition of the importance and future of Africa, his statements in two areas will have lasting significance. In a highly-acclaimed speech to the African Union [video below – abuse of power comment begins at 22 minutes], Obama criticized rulers who shamelessly alter the law and remain in power endlessly. He called on them to give new blood a chance. "No one should be president for life," said the man who retires in a year and a half - even though, he said in a bold aside, that he could have been elected again. His target wasn't hard-of-hearing rulers. Obama spoke to ordinary Africans, empowering and lifting their spirits. By quoting Obama, people can now raise human or democratic rights issues. And of course, it helps that he told those in power in Ethiopia that political opponents are not terrorists and that critical journalists don't belong in jail. The second point of lasting significance concerns the position of gay people. Obama put the issue on the agenda from a position of great moral strength: if Africans admire him because of his power and authority, they cannot ignore his criticism of how gay people are treated. The president had the good sense to express his views on gays in terms of equal treatment before the law, regardless of color, gender or sexual orientation. He pointed to American racial history, his own history, to what happens when people aren't treated equally under the law. It opens the door to all kinds of injustices. He had no desire for the state to take a position - only for it to uphold equal rights. President Kenyatta claimed that the issue doesn’t concern Kenyans aren't and that at this point there are simply "cultural differences." It was a lame response to Obama's arguments based on the rule of law. Yet the impact of Obama's views is difficult to estimate. Recall that in some African countries - it is evangelical churches from the West which reinforce hatred toward gay people, and there is indeed a huge cultural taboo. Obama could have pointed out how quickly that can disappear as has happened in the United States. He did what he could. What Obama said had added power because he always referred to America's own problems with race, inequality and democracy. He didn't come like an arrogant know-it-all or representative of a country that does everything right. He wasn’t there as an outsider but as a friend, a family member, a respected guest who is permitted to raise unpleasant issues. Critics in the United States have criticized Obama of traveling to countries with serious human rights violations. They feared he would primarily talk about the threat of terrorism and subordinate morality. They underestimate their president. Barack Obama once again demonstrated his strength of personality and the power of a role model. And in addition - the influence of the U.S. presidency. Yes you can, he told a continent only too happy to do so. 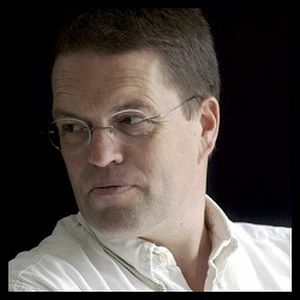 *Frans Verhagen is a journalist specializing in the United States. He blogs at meiguo.nl. This contribution was written at the invitation of De Morgen.